Does it feel like cold, flu or, stomach bugs live in your office rent free? Are people constantly getting sick and disrupting your workplace? Do you cringe at the thought of what you can't see? If you don't already know, MTO Janitorial wants to warn you about the 'germiest' places in your Prescott workplace. While the sink may be sparkling clean and free of dishes, it doesn't mean the sink's faucet handles are free of germs. Employees frequently touch the faucet handles many times a day throughout the day allowing germs to pass from one employee to another. Think about how many employees use the microwave first thing in the morning by heating their coffee, all through lunch and even into in the evening if someone is staying late. It's a popular gathering place for germs and a buildup of dirt, residue, and multiple food and drink sources. Most employees are probably not the only one to use their keyboard and they (keyboards, not employees) are often extremely infested with bacteria and germs. And the more users, the more germs. It's said that there are nearly 4,000 germs per per square inch on computer keyboards. The refrigerator. Who doesn't love the office fridge? Rightfully so! It's one of the most popular places in a workplace. Not only do employees keep their snacks and lunches in the fridge but also birthday cakes, special office surprises, and beverages. Opening and closing the refrigerator door all day long becomes a breeding ground for germs. While many bring their own water or drink from bottles, water fountains are still popular for not only employees but customers. It's just another hot spot for germs as people stop for a quick drink or to fill up their water container. Having your Prescott business professionally cleaned greatly reduces the spread of germs and helps prevent the spread of illnesses. Clean break rooms, office equipment, public areas and bathrooms are instrumental in the health of your work staff and your customers. 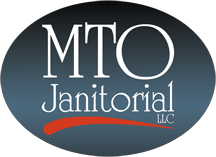 Let MTO Janitorial keep not only these top sources of germs clean and spotless but your whole office. Give us a call today at 928-772-0004 to schedule an appointment.